Bloesem Kids suggests dressing your daughter in the gorgeous, vintage Velvet Miette Daydress by Baby Bean (show above) for the holidays. Cookie Magazine suggests a ‘green’ stacking tree for baby from Plan Toys. Peruse The Green Guide for Kids for multiple posts featuring their Ultimate Non-Material Green Gift Guide. 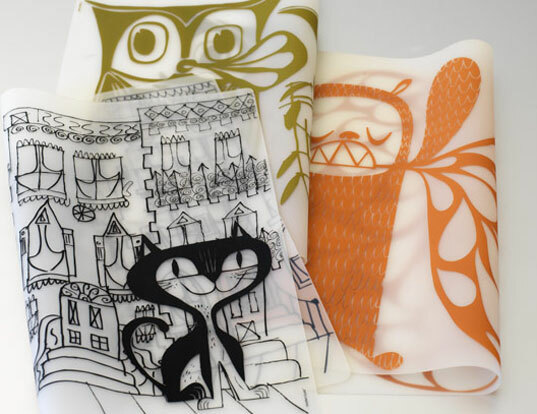 Kids and Baby Design Ideas recommends super cute earth-friendly placemats by Portland based artist Matte Stephens. The Good Human shares 5 Free and Green Gift Wrapping Tips.